Ahh Tom Ford, what a guy! I’ve only recently heard that Mr Ford has launched a new signature scent, Velvet Orchid, as a sister to Black Orchid. I went ahead and got my hands on a large bottle without sampling it first and without hesitation. I knew I had to have it, and I wasn’t disappointed. 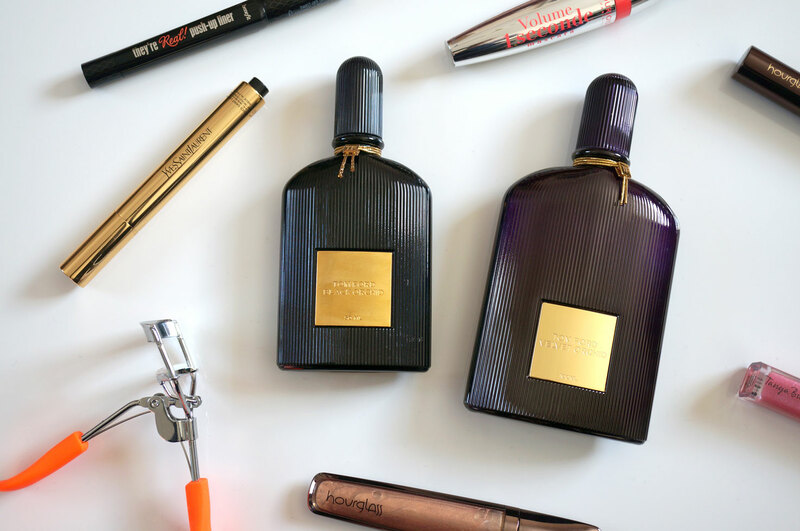 Velvet Orchid lives in a world of glamorous mystique, evolving the carnal grandeur and seductive power of Tom Ford’s original Black Orchid into a harmonious and uber-feminine fragrance. Lavished with cool freshness, dramatic petals, honey and rum, Tom Ford Velvet Orchid is an oriental floral fragrance that teases and caresses with enveloping and brilliant warmth. Previous Post Urban Decay Electric Palette Dupe! Makeup Rev Colour Chaos Review! Next Post Ten Tips To Stop Your Makeup Melting This Summer! I used to think brands like Chanel were the ultimate in luxury (and I still do lust after them lots) but it’s definitely Tom Ford for me now! 🙂 His products are just so covetable and beautiful. I hope to own a perfume of his of my own one day – the Neroli Portofino ones look gorgeous!